Who Is Steven Spielberg’s Best Protégé? I recently watched Super 8 for the first time. It brought back memories of my own experience writing short stories as a kid. I even wrote and directed a family movie once. Super 8 is J.J. Abrams’ homage to Steven Spielberg films like E.T. and Close Encounters of the Third Kind. Plus, it was his chance to work with his idol. Spielberg inspired many of today’s filmmakers with his ability to mix rich characters with stunning visuals and adventurous stories. I’d like to examine several filmmakers who Spielberg worked with over his career. These are writers, directors, and producers who he helped at the start of their careers by executive producing their films or providing other aid. They’ve each reached different levels of success during their careers as filmmakers. I won’t include Abrams on my list because he idolized Spielberg, but they didn’t work together until Abrams was an established writer/director/producer. I’ve listed the filmmakers alphabetically so I won’t give away the winner until the end. So let’s see who Steven Spielberg’s best protégé is! Don Bluth carried the torch of animation after Disney dropped it during the ‘80s. 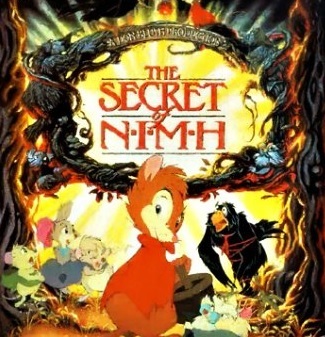 After working at Disney for years, Bluth made a name for himself by directing the classic animated film The Secret of NIMH in 1982. That was enough to get the attention of Spielberg, who executive produced his next two films, An American Tail and The Land Before Time, both of which are excellent. After that, things went downhill for Bluth at breakneck speed. First came the pretty good All Dogs Go to Heaven, followed by the atrocious Rock-A-Doodle, Thumbelina, and A Troll in Central Park. Bluth gave one last gasp by directing the good Anastasia (1997), but then he ended his career with Titan A.E. three years later. Chris Columbus owes his career to Spielberg. 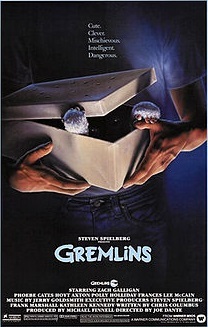 He wrote Gremlins in 1984 and The Goonies and Young Sherlock Holmes in 1985. Spielberg produced all of them. After getting that jumpstart to his career, Columbus moved up to directing, starting with the pretty good Adventures in Babysitting in 1987 before gaining instant stardom with Home Alone, its sequel, and Mrs. Doubtfire in quick succession in the early ‘90s. His record as a director since then has been spotty, sometimes doing good movies like the first two films in the popular Harry Potter series and then doing a bunch of mediocre films like Nine Months, Stepmom, and Bicentennial Man. He has also had some impressive success as a producer, lending his support to such films as Fantastic Four (2005) and its sequel, Night at the Museum and its sequel, and The Help. Joe Dante started his directorial career with low-budget horror films like Piranha and The Howling, which were modest hits in 1978 and 1981, respectively. He really struck gold by directing 1984’s Gremlins, which managed to combine horror with irreverent humor, creating a bizarrely entertaining combination. Unfortunately, he was never able to recreate the runaway success of that film. He tried with Explorers (with young River Phoenix and Ethan Hawke) in 1985, Innerspace (a wonderful sci-fi film starring Martin Short and Dennis Quaid) in 1987, The ‘Burbs (a terrible comedy starring Tom Hanks at a low point in his career) in 1989, and Gremlins 2: The New Batch in 1990. He tried a few more times before retreating to television and more horror films. Frank Marshall made an impressive debut as a director with Arachnophobia in 1990 and followed it up with the uneven (but still very good) Alive in 1993. Unfortunately, his films since then have been quite poor: Congo in 1995 and Eight Below in 2006. Marshall has had much more success as a producer. He produced most of the films Spielberg either directed or attached his name to, from Raiders of the Lost Ark to We’re Back: A Dinosaur’s Story. On his own, he produced The Sixth Sense, Signs, The Bourne Identity (2002) and its sequels, and Seabiscuit. He has a good eye for picking winners. Matthew Robbins co-wrote Spielberg’s early films, Sugarland Express in 1974 and Close Encounters of the Third Kind in 1977. He directed the underrated Dragonslayer in 1981 and the decent *batteries not included in 1987. Since then, he’s written a lot of films, none of which have become too popular. Robert Zemeckis had a rough start to his career. He co-wrote and directed I Wanna Hold Your Hand and Used Cars in 1978 and 1980, respectively. Both of them bombed. Between those two films, he also co-wrote Spielberg’s first flop, 1941. 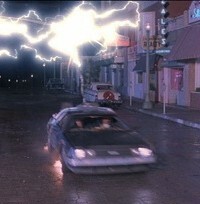 But after proving himself a promising director with 1984’s Romancing the Stone, Zemeckis was finally able to make the sci-fi comedy he had dreamed of doing for several years: Back to the Future. And, to make up for his past performance, he asked Spielberg to executive produce it. The result was a critical and financial success, followed by two sequels, which Spielberg also produced. 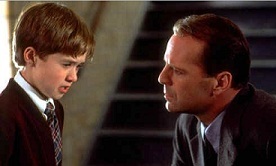 After that, he was named Best Director for Forrest Gump just a year after Spielberg won that honor for Schindler’s List. He’s one of the most consistently good directors out there, making such films as Contact, Cast Away, The Polar Express, and A Christmas Carol (2009). He got into a rut of only making CGI movies for several years, but he finally broke free of that mold with the pretty good Flight last year. He even reteamed with Spielberg in 2011 to executive produce Real Steel. Chris Columbus, Robert Zemeckis, and Frank Marshall are definitely the most commercially successful of Spielberg’s protégés. The others didn’t have the staying power of these three titans. But only Zemeckis can boast attaining Spielberg’s level by winning an Academy Award and consistently making crowd-pleasing entertainment. There you have it. Robert Zemeckis is the best Spielberg protégé. Not bad for a guy who started his career with three failures in a row. It doesn’t hurt that he has a great first name, either. This entry was posted in Random Stuff and tagged animated films, back to the future, chris columbus, comedy, directors, don bluth, films, frank marshall, gremlins, joe dante, movie review, movies, robert zemeckis, science fiction, steven spielberg. Bookmark the permalink. 4 Responses to Who Is Steven Spielberg’s Best Protégé?